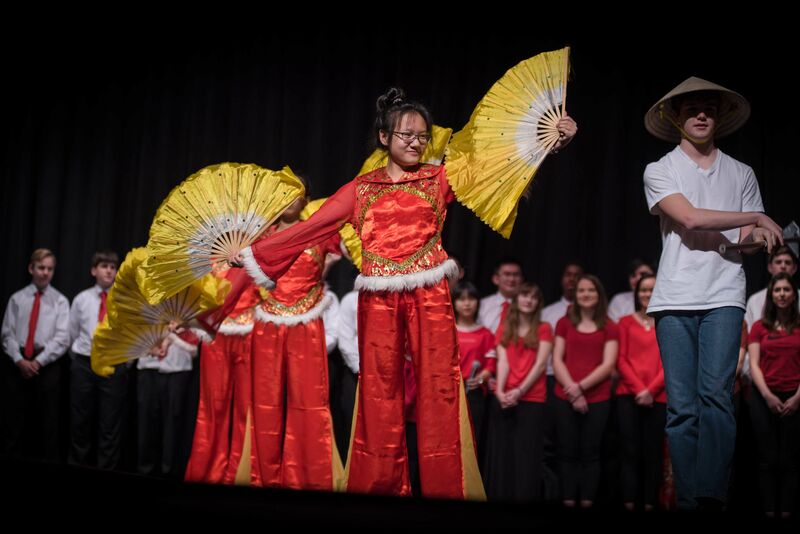 Last Saturday, the Savio Chinese classes, along with 10 other middle schools and high schools in Austin, performed at a celebration for Chinese New Year at the John B. Connally High School Performing Arts Center. 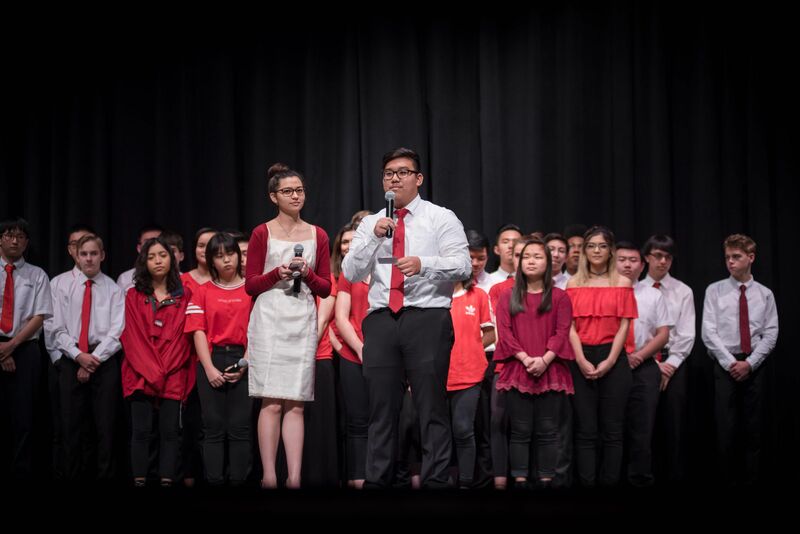 All the students enrolled in Chinese classes, participated on the stage to recite and sing four of the most famous poems of the Tang Dynasty. 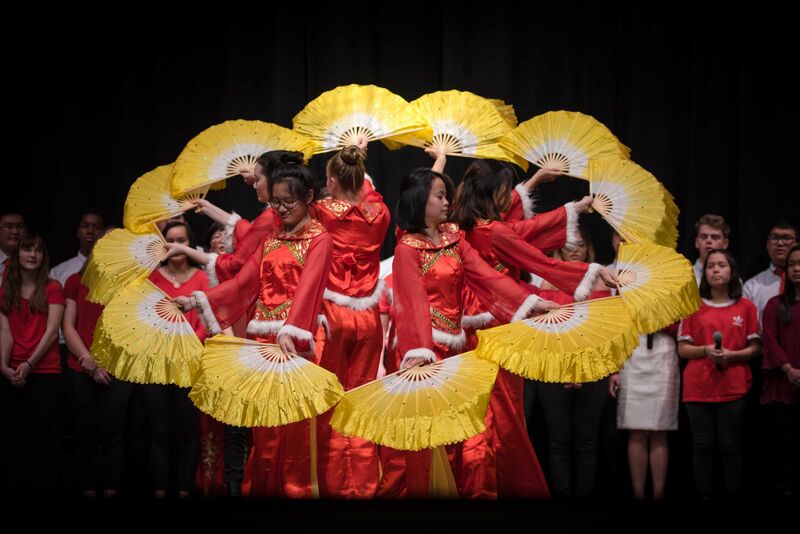 Some students also performed a beautiful Chinese dance with beautiful, bright yellow fans as other students sang. The Savio performance was enjoyed by everyone seated in the auditorium. “Many people said Savio had the best performance among all the 10 schools. 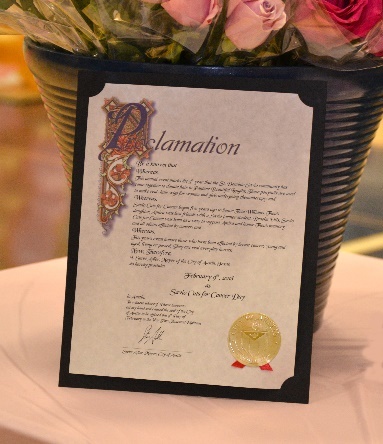 I am so proud of my students,” said Mrs. Yanli Cao, the St. Dominic Savio Chinese Instructor. Many thanks to Mrs. Lan Nguyen, the Business Manager of Savio, and her daughter, who taught the students to dance. On Saturday 12 Savio Latin club students participated in the Area Convention, a competition for Latin students throughout the Austin area. Our team of students placed 3rd overall in their division! Several students also received awards for their individual competitions. Finally, all 11 of the students who participated in the Pentathlon contest were recognized for their scores. CONGRATULATIONES, DISCIPULI! The Savio Lady Eagles golfers won the Regents Invitational on Monday, notching their first victory of the season in their first start. 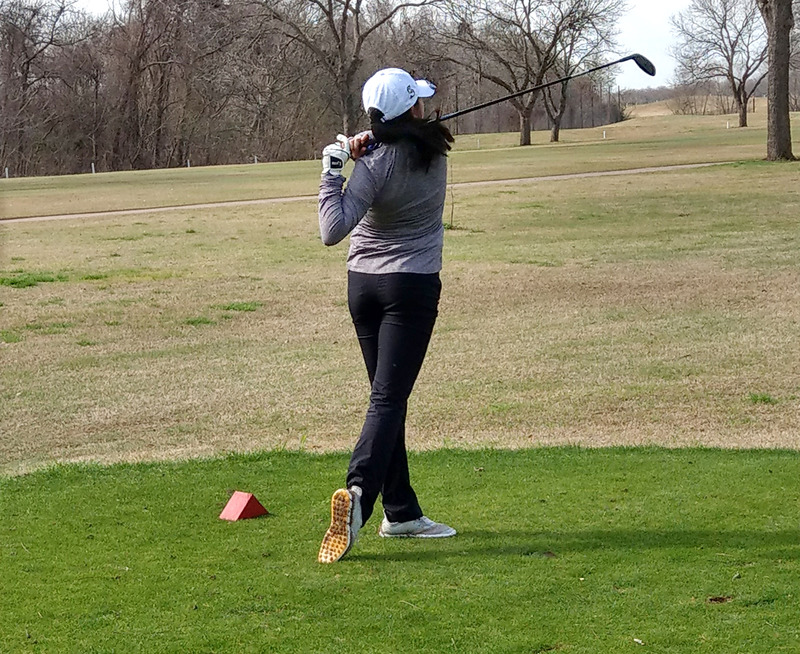 The Lady Eagles are hopeful that the win at south Austin's Jimmy Clay Golf Course will propel them to an exciting and successful year, but they do not want to get ahead of themselves. "It's definitely a great way to start the season, but we are going to take each tournament one at a time," said Coach Jameson, before adding, "and we hope the boys will start following in their footsteps." Despite a lack of much practice due to a stormy week prior to the tournament, sophomore Andrea Rodriguez played well and earned an 8th-place medalist honor, while freshman Vera Yi took 3rd-place honors in her impressive Savio tournament debut. Yi shot 79, leaving her only 2 shots out of the 1st-place medalist spot. Both the boys' and the girls' teams are looking forward to improving as the season develops, but will savor the girls' victory for the moment. Join Holy Family Catholic School and St. Dominic Savio Catholic High School to watch the Screenagers Documentary on Monday, March 5th, at 6:30 PM in the Holy Family Catholic School gym. 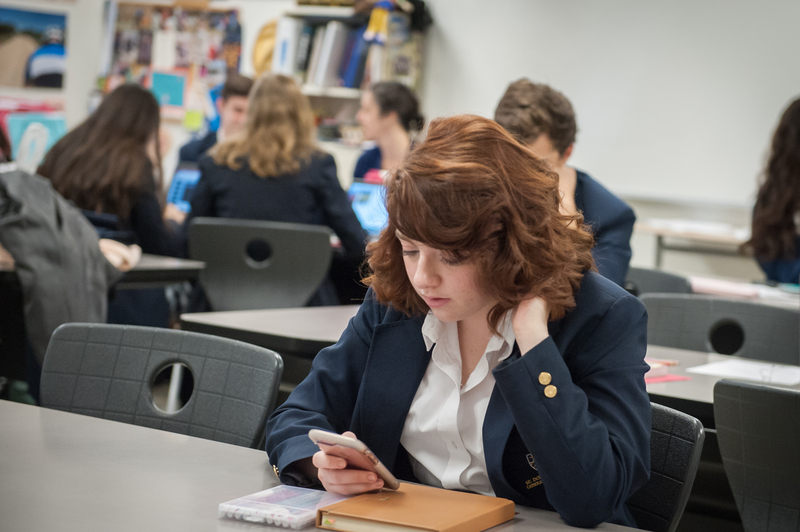 Parents and students (middle school or high school) are welcome to come watch this important 70 minute documentary on growing up in the digital age, followed by discussion on how to help our students manage their digital habits. The event is free and all parents are welcome. 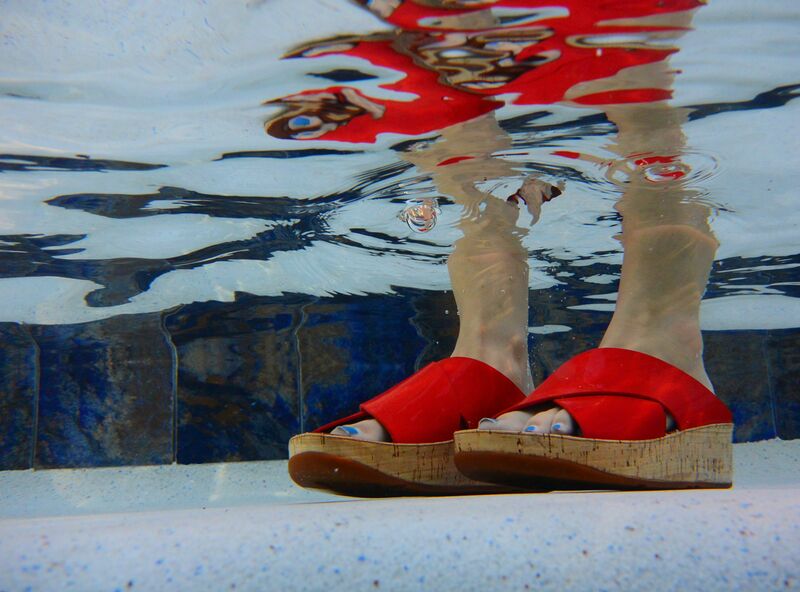 Read on to find how to register and find more details. Congratulations to Lady Eagles named to 2017-18 All District 4 (5A) Basketball Teams. The following players are listed below as selected and recognized by the District 4 coaches. St. Dominic Savio Catholic High School students and community members donated their hair during the Cuts for Cancer event on Friday, February 9 in the St. Dominic Savio Gym. 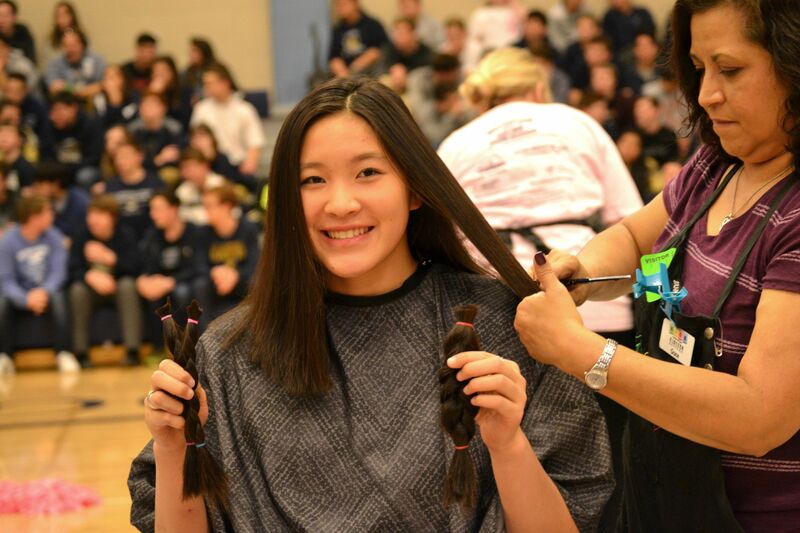 There were a total of 80 ponytails cut from students and three of the hair donations were from Savio faculty members. All hair donations that were collected, were donated to Pantene® Beautiful Lengths to create wigs for cancer patients that have lost their hair from treatment. 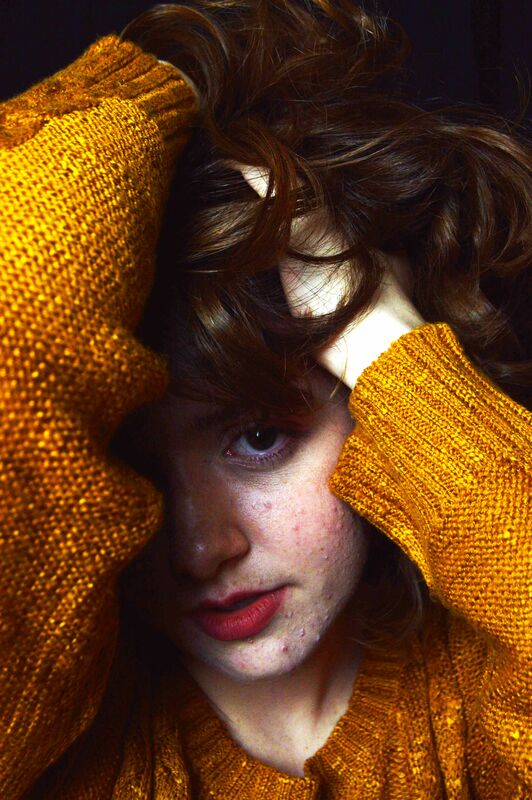 Each hair donation met the minimum requirement of being at least eight inches in length. Pantene® Beautiful Lengths is part of the largest, national movement that creates free, real-hair wigs for women with cancer. A total of 230 ponytails were donated from partnering salons and will be donated this year with the 80 Savio student donations. All proceeds from T-shirt sales and sponsor donations totaled $3500 and will be sent to Saint Jude’s Children’s Research Hospital to help fund childhood cancer research and care. The total number of donations have increased over the years, including the number of ponytails donated. Since the beginning of the Cuts for Cancer event, 5 years ago, St. Dominic Savio has collected a total of 428 ponytails with $9,184 donated to St. Jude Children’s Research Hospital. 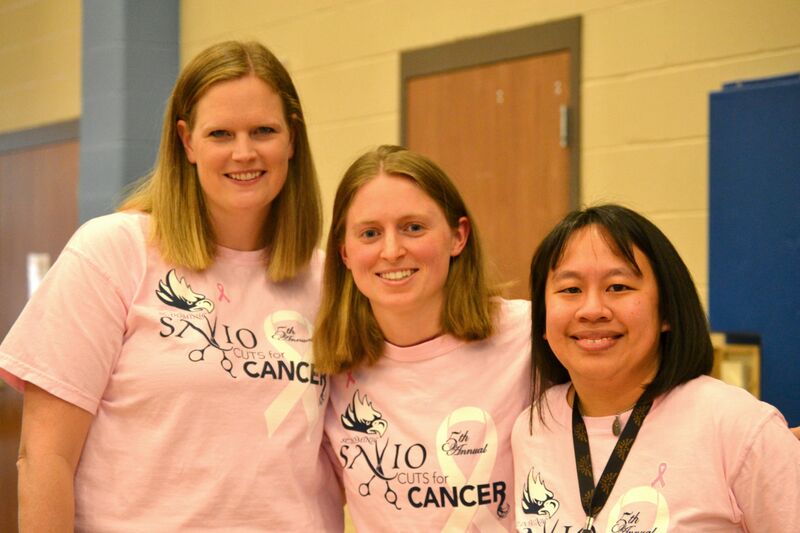 Many that participate in the Savio Cuts for Cancer have lost a close family member or friend to cancer and desired to give back to someone that may share a similar struggle. Three faculty members donated their hair. Ms. Alison O'Connor, and Ms. Pamela Koo. A Savio Student hugs her mom after sharing how cancer impacted their family. We give a huge thank you to the Director of Girls Athletics, Ms. Crystal Clark, the parents and participating Hair Salons that volunteered their time, and the Savio Cheerleaders for coordinating a beautiful event. If you have any questions about the event, please contact the school president, Dr. Joan Wagner, or Cristina Almanza. 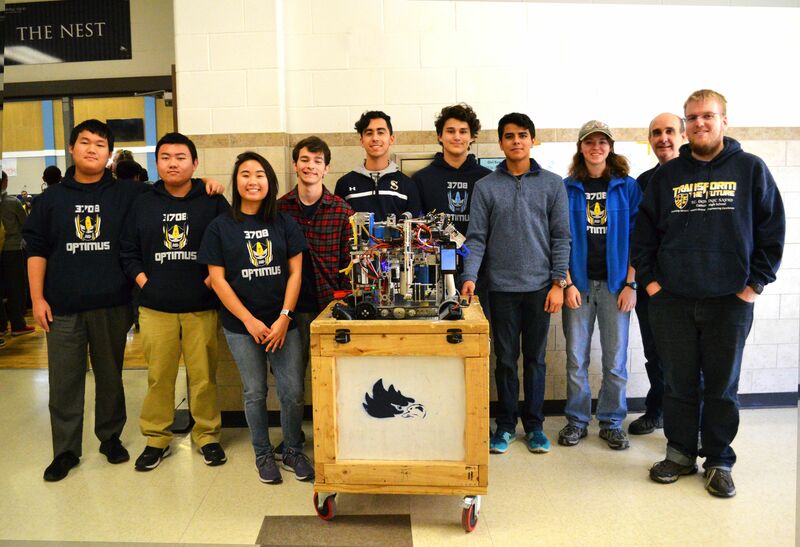 It’s been an exciting season for Savio’s Iron Eagles Robotics teams, Optimus and Prime. They spent the first 10 weeks of the school year designing, building and programming robots to compete in the FIRST Tech Challenge “Relic Recovery!” game, as a member of the 48-team Austin Metro League (AML). Both teams opened with strong performances at the first two league meets, and after posting a 4-1 record at the third meet (hosted in the Savio Gym on Saturday, January 13), Team Prime was in first place going into the League Championship on February 3! Unfortunately, after opening with two strong matches (including setting the new League record score that was eclipsed later that day), Prime dropped their last three matches against some tough competition and ended the qualifying rounds in 7th place. 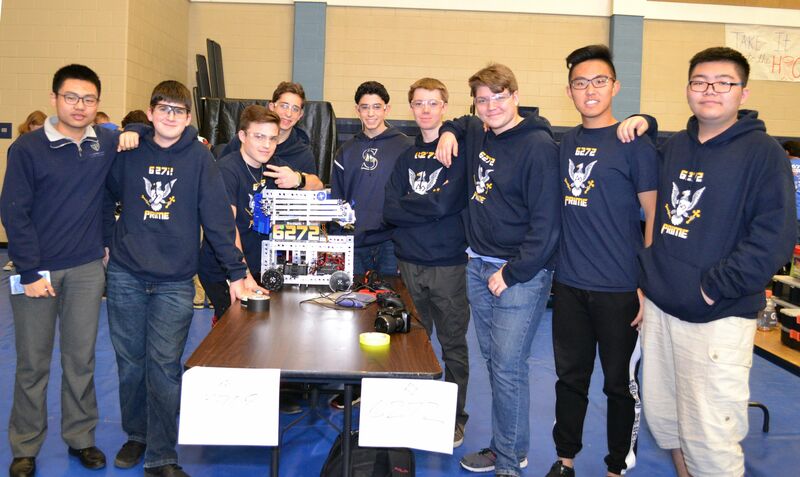 But Team Optimus fought back hard to show that they were worthy of playing in the elimination rounds, posting a 3-2 record, including a one point loss to the eventual tournament champion. Optimus also edged out a win against their sister team Prime in an exciting match that saw both teams successfully pull off a difficult move in the final 30 seconds, scoring two high-point game elements. Optimus and Prime are still the only individual teams in the AML to successfully score both “relics” in the final 30 seconds in a single match. 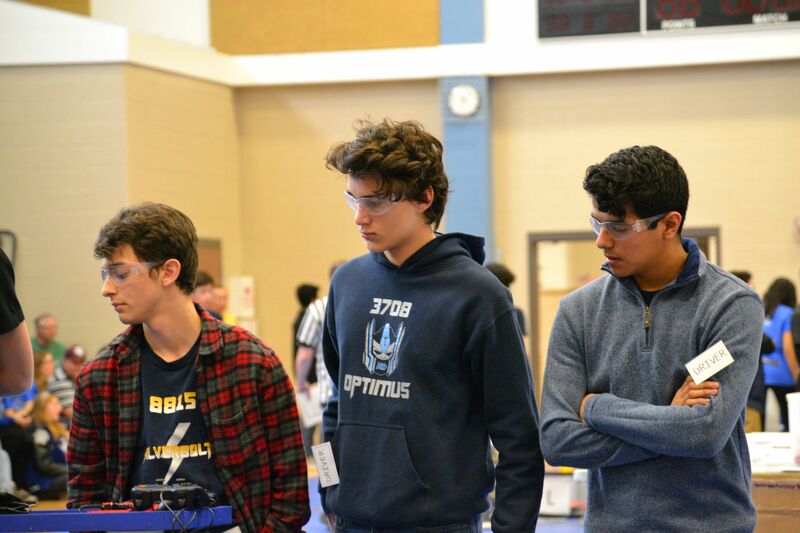 Although neither team was in a top-four “captain” position, they had proved themselves to the other teams in the league, and both Prime and Optimus were chosen to join the second-place alliance by Vandegrift’s Quad X team! With strong performances in the division semifinals, their alliance defeated the #3 alliance 2-0 before falling to the #1 alliance (and eventual AML League Champions) in the finals. Unfortunately, neither Iron Eagles team was ranked high enough to advance directly to the Alamo Regional Tournament – but Team Prime was ranked high enough to earn one more opportunity to advance at one of the region’s “Wild Card” tournaments, a sort of “last chance” competition against other top teams in the region. So, Team Prime headed down to San Antonio for an exciting tournament on Saturday, February 10, hoping to earn one of the 7 final spots available to advance to the Alamo Regional Tournament. After a bit of a slow start, Prime still posted a 5-1 record after the qualifying rounds and finished in second place, a mere 15 points behind Tau Manifesto from Westlake High School. They joined Tau Manifesto and team Lightsaders from St. Michael’s to form an alliance for the elimination rounds. After sweeping the #4 alliance 2-0, Tau and Prime were rocked by the #2 alliance in the first game of the finals - but the combination of Prime and Lightsaders came back strong to win the next two games, posting the two highest scores of the tournament, also Prime’s high score of the season! Prime has now posted two of the top five scores in the entire league this season, and they played every match for their alliance in the elimination rounds. After becoming tournament champions, Prime was also very excited to win their first award of the season, the Think Award! As a result of their strong performance, the Iron Eagles Prime team has now advanced to the Alamo Regional Tournament, which will be held on February 17 at Vandegrift High School in Austin. Good luck to Team Prime as they try to again earn a spot in the FIRST Super-Regional! 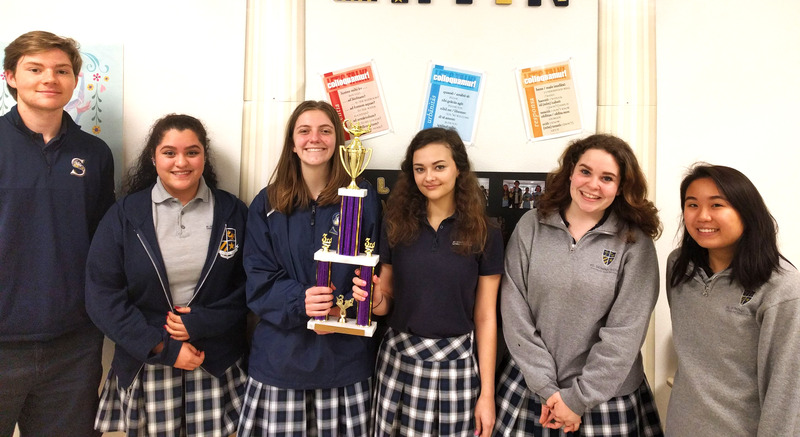 The St. Dominic Savio computer science team attended two tournaments the last two consecutive weekends. 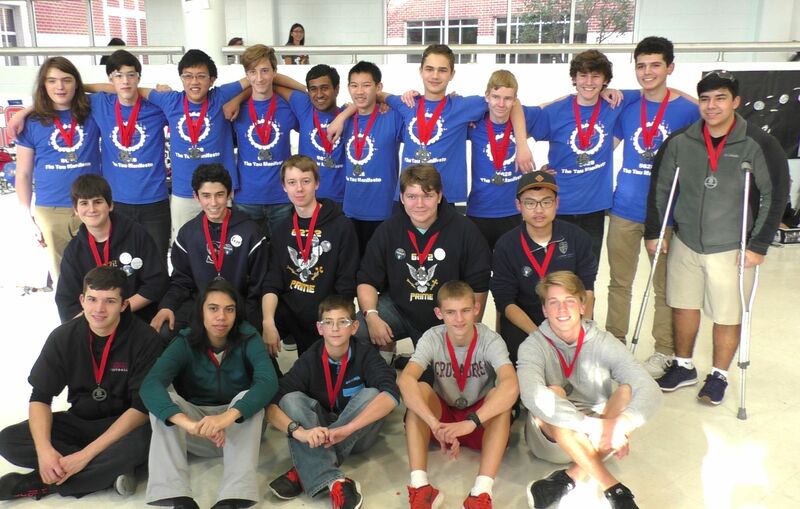 The first competition was held at Hendrickson High School in Pflugerville, completing against 36 other teams. 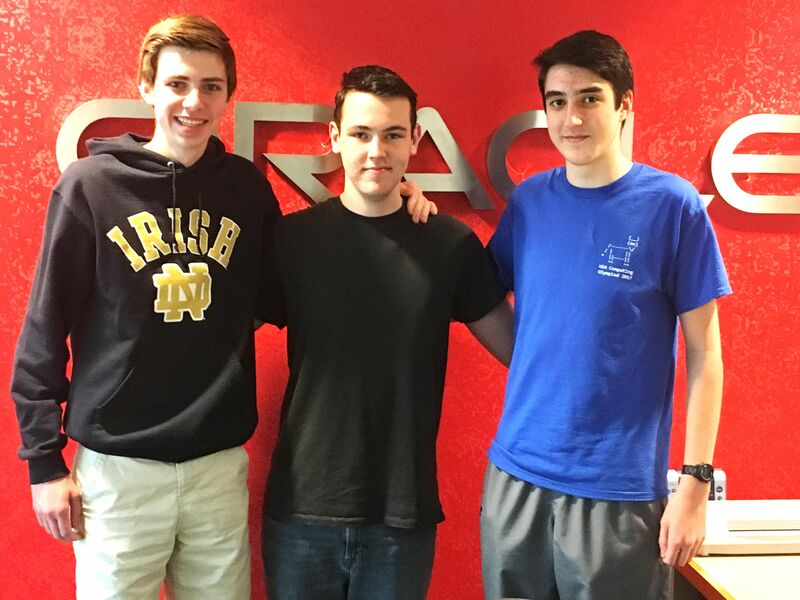 The second tournament was held at Oracle Corp. and was co-sponsored by Oracle Corp. and Vandegrift High School. This tournament had 31 area teams competing. 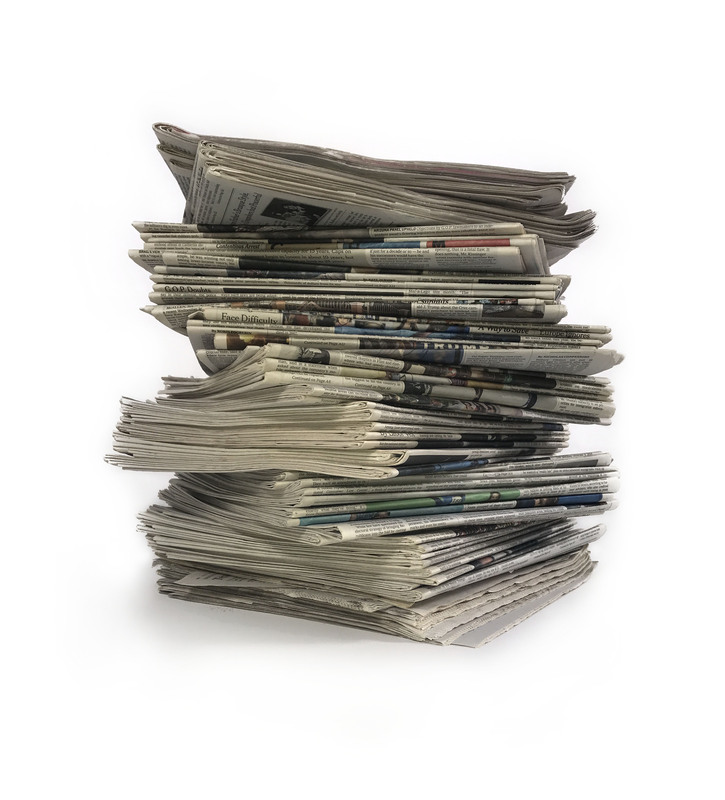 Both competitions consisted of teams of three in which individuals took written exams, and then combined forces in the programming round to try and solve 12 problems in two hours as a team of three. Brandon Boettner, Matthew Meskill, and Jonathan Shoemaker represented Savio for both tournaments. Savio competed closely in the written rounds, but dominated in the programming rounds, solving all twelve problems in each of the two tournaments - needing less than half the allotted time in the Oracle tournament. Savio was the only team to solve all the problems in either tournament, giving us a clear win. At Hendrickson, Savio held off McNeil and Westwood to win a nice team trophy, while at Oracle, we held off Vandegrift and Westwood and won some sponsored prizes including a Rasberry pi, an Oracle backpack, and a computer case. 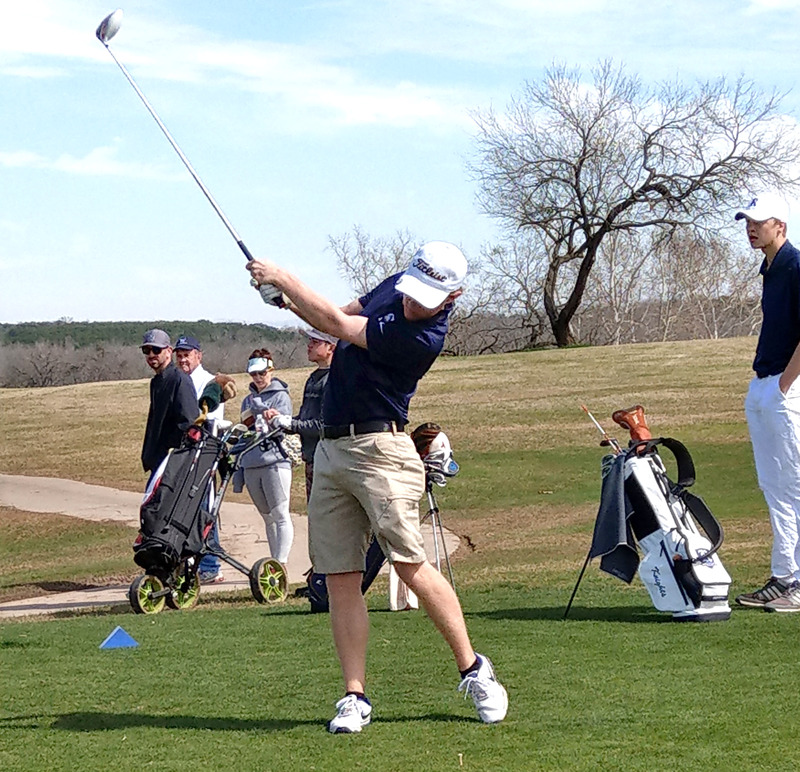 Savio is four for four in the Austin area tournaments this year, having faced virtually every school in the area. The latter half of the season will allow the team focus on more statewide and national level tournaments. The competition will become more challenging, but Savio will continue competing in tournaments that give cash prizes to the winning schools. 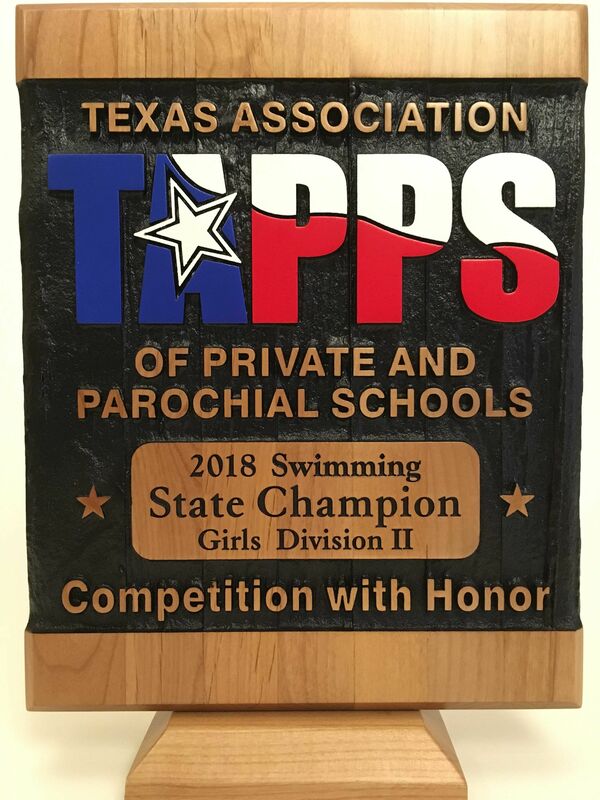 The 2018 TAPPS Division II State Championship meet took place on Thursday, February 8th at the Mansfield ISD Natatorium in Mansfield, Texas. The girls won state and the boys took 3rd in nearly perfect performances after considerable travel and an overnight stay, to a never seen before facility. 15 of 18 swims for the girls were faster than their regional swims just two weeks ago, and 16 of 19 swims were faster for the boys! There were 18 girls teams and 19 boys teams. 4 of the top 6 teams at Division II state came from the Central Texas region. The girls had 12 top 10 finishes that scored points for the team with 7 first place state champion finishes, and one each 2nd, 3rd, 4th, 5th, and 9th place finishes. The boys had 11 top 10 finishes that scored points for the team with 4 first place state champion finishes, and one each 3rd, 4th, 8th, 10th and three 9th place finishes. 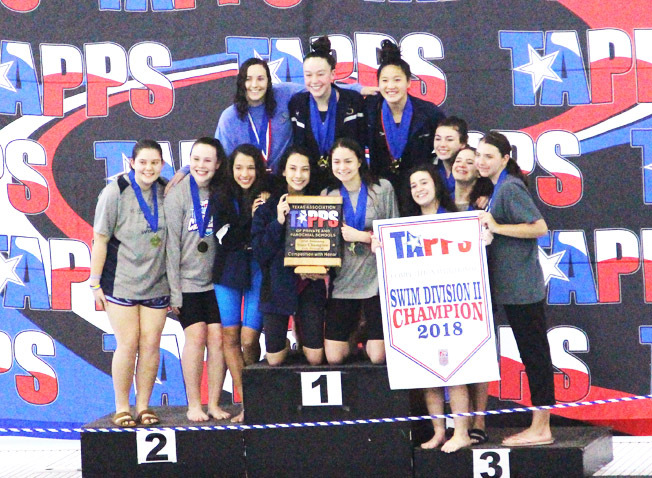 The girls first place finishers were Captain Hannah Espinosa in the 200 IM, 100 Breast and 200 free relay, Jade Hallum (state top point scorer) in the 200 free, 50 free, 200 medley relay and 200 free relay, Caitlin Murphy in the 100 back and 200 free relay, Carolina Batista in the 200 free relay, Dean Ruiz in the 200 medley relay and 200 free relay, Morgan Reeb in the 200 free relay and Isabela Gonzalez in the 200 medley relay. Second and third place medal winners were second place Caitlin Murphy in the 100 free and Caitlin Murphy, Hannah Espinosa, Dean Ruiz and Teresa Lacayo in the 400 free relay. 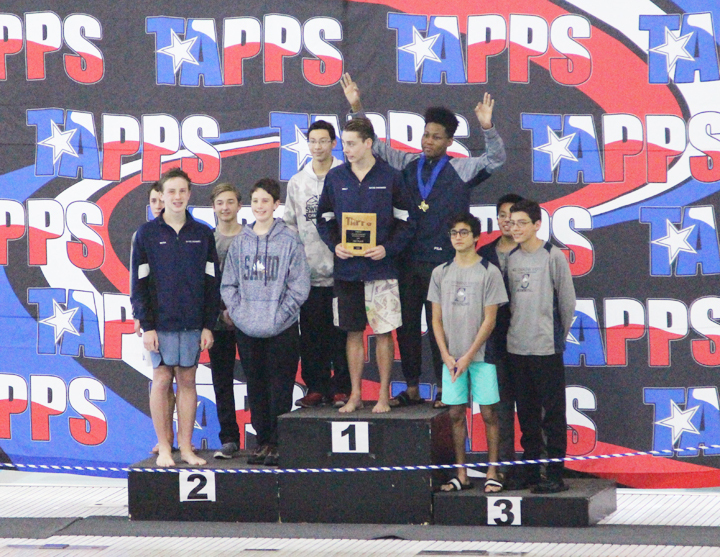 The boys first place finishers were Captain Reilly Gilbert in the 500 free, 100 back and 200 free relay, Jon Montoya in the 200 free relay, Jalen Johnson in the 200 free relay and Matthew Reysa in the 100 fly and 200 free relay. Third place medal winner in the 200 IM was Nathan Lewis. This was a way above average performance from both teams with the girls dropping a combined total for all swims of 27.5 seconds and the boys dropping a combined total for all swims of a staggering 107.47 seconds! 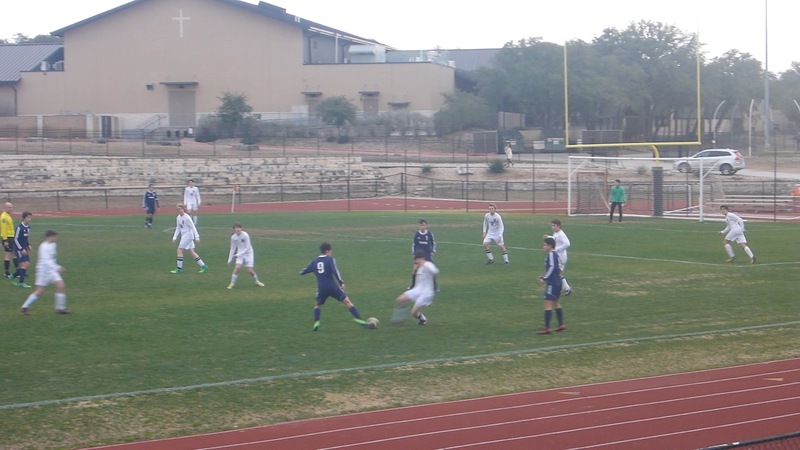 Closing out the regular season with a strong win, the Savio Boys soccer team beat district rival St. Michael's 3-1 on Friday. Two first half goals from Freshman Sebastian Martinez (one assisted from Kyle Gonsalvez and the other from Brendan Mazzurana) put Savio up 2-0 in the first half, then Brendan Mazzurana scored in the second half off a pass from Chris Gonzalez to put the game away. Goalie Seth Arizola and the Savio defense held St. Michael's to 1 goal. St. Dominic Savio Students were recognized by the Scholastic Art and Writing Awards for excellence in the visual arts. This year, Savio is receiving a total of 29 awards in the categories of Photography, Drawing and Illustration, Painting and Mixed Media. 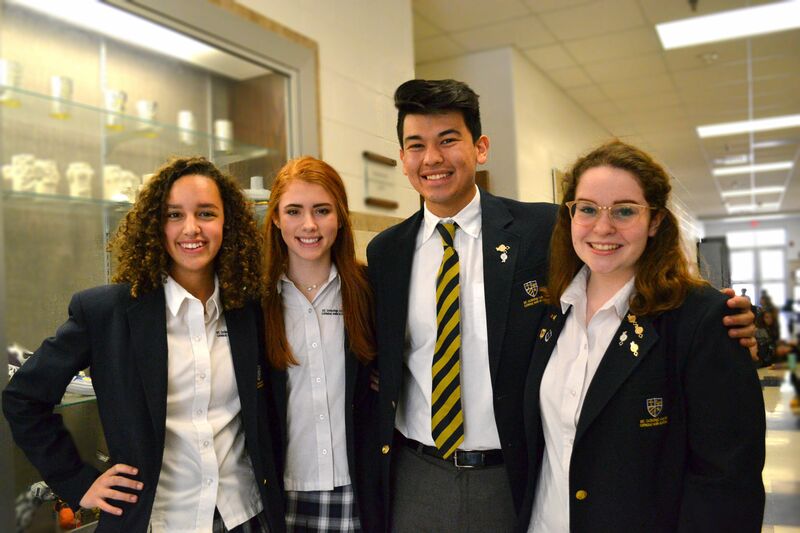 Four students, Sophia Kalamarides, Ryan Rodriguez, Lily Nash, and Trinity Garcia received the highest recognition and their art work will be adjudicated at the National Scholastic Art and Writing Awards. 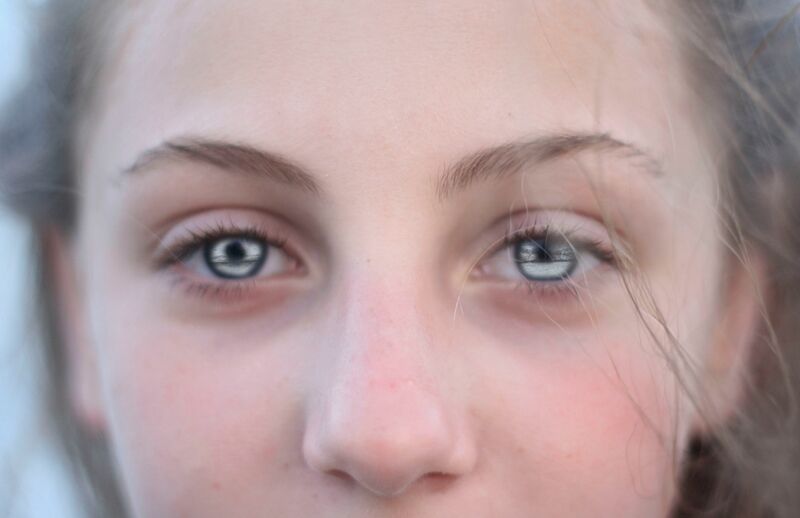 Senior, Sophia Kalamarides, was recognized at this level for two of her pieces, so we will have a total of five entries at the national competition in New York with results announced in late March. A thank you to all the families and friends of Savio who supported our Whataburger Spirit Night this week! Your generosity supports Savio Athletics. Spirit Night was an overwhelming success and a great way to show the community our Savio pride with all who wore Savio Spirit wear and gave our community a very positive impression. 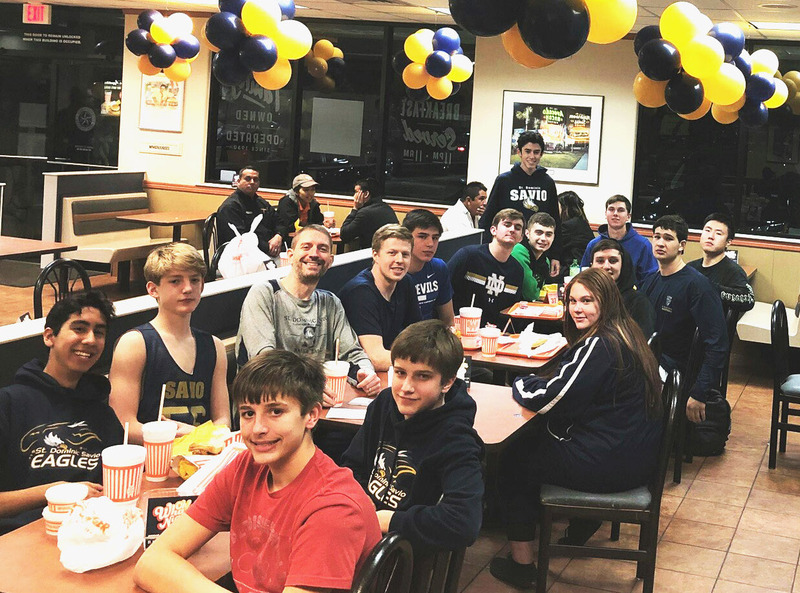 The spirit night at Whataburger raised more than $500 to help support our Savio Eagles!